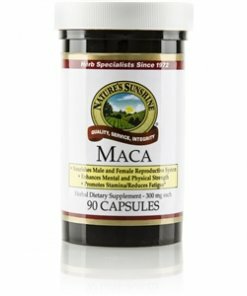 Native to South America, particularly the Andean mountains, maca is a member of the radish family and may enhance sexual desire and performance. Maca may boost physical energy and endurance by reducing the effects of stress. 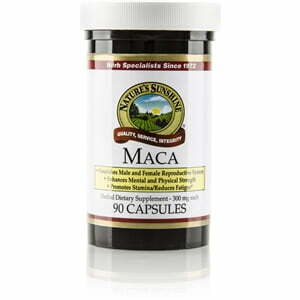 When studied in animals, maca especially benefited male subjects. Nature’s Sunshine Maca guarantees a 4:1 potency of macaenes and macamides. Cellulose (plant fiber), maltodextrin, gelatin, and water.